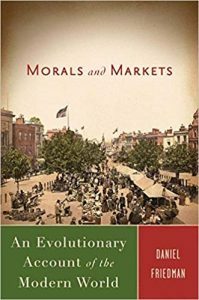 Greed, Self-Interest and the Shaping of Economics (2018) | Moral Markets? Since 2008, profound questions have been asked about the driving forces and self-regulating potential of the economic system, political control and morality. With opinion turning against markets and self-interest, economists found themselves on the wrong side of the argument. 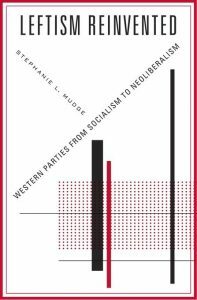 This book explores how the past of economics can contribute to today’s debates. 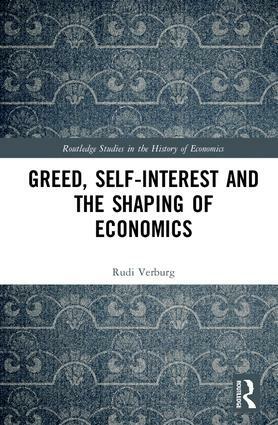 Greed, Self-Interest and the Shaping of Economics considers how economics took shape as philosophers probed into the viability of commercial society and its potential to generate positive-sum outcomes. It explains how dreams of affluence, morality and happiness were built upon human greed and vanity. It covers the bumpy road of the construction and reconstruction of this dream, exploring the debate on the foundations, conditions and limitations of the idea of the social utility of greed and vanity. 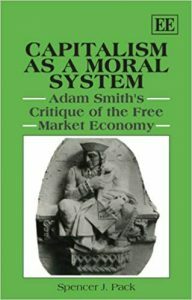 Revisiting this debate provides a rich source of ideas in rethinking economics and the basic beliefs concerning our economic system today. 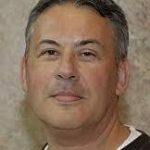 Rudi Verburg was assistant professor in the history and philosophy of economic thought at the Erasmus University Rotterdam. Recently he joined the research project ‘What Good Markets are good for’ as part-time researcher at the Vrije Universiteit Amsterdam. He has published books and articles on topics ranging from values and institutions, social cohesion, solidarity and care, and the history of economic thought.